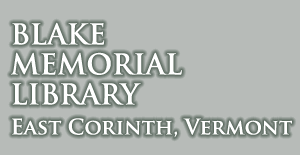 Free and reduced-rate passes to many Vermont attractions are available from the library. You check out a pass just as you would a book. We only ask that you return it promptly so others may use it! We have passes to attractions listed below. See links for open hours and more info. The above passes entitle one or more people to free admission with the exception of the ECHO Museum pass, which is a reduced rate pass.